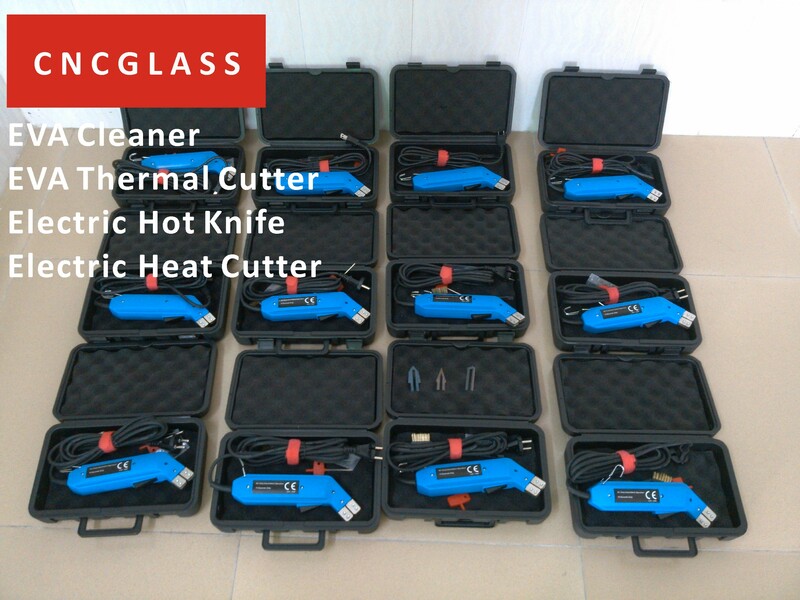 The EVA Thermal Cutter (Hot knife)is a professional-grade hot cutting tool for EVA Film&Fabrics. The EVA Thermal Cutter (Hot knife) heats up in seconds and gives the operator temperature control. Never before has working with EVA Film&Fabrics been this easy, inexpensive and free of mess. 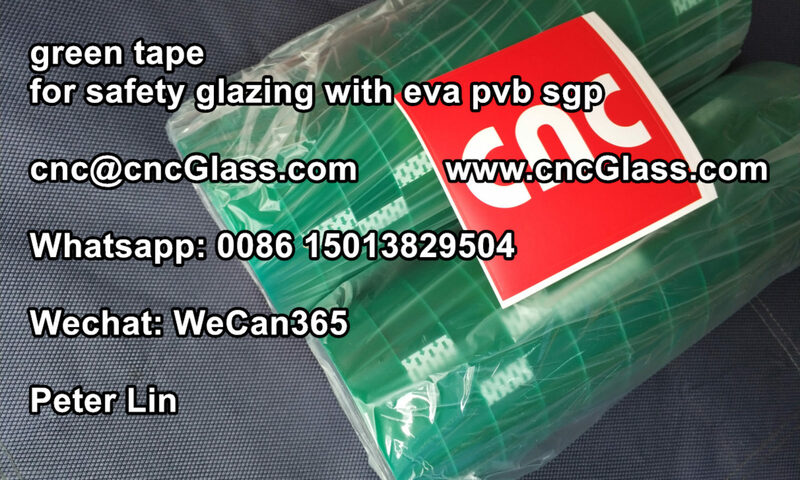 Terylene EVA Film&Fabrics, EVA Film of laminated glass, PVB Film of laminated glass, SGP Film of laminated glass, Fiberglass Fabrics and Polyester Fabrics can be easily cut with EVA Thermal Cutter (Hot knife) . NOTE: Always unplug cord of the EVA Thermal Cutter (Hot knife)before installing or removing the blades. Allow sufficient cooling time for blades, blade holders and metal thumb wheels before handing. Caution 1: The EVA Thermal Cutter (Hot knife) blade have a sharpened razor edge, for the cleanest cut always cut in the direction on the sharpened edge. 1-Loosen the screws on the blade holders with the wrench. 3-Securely tighten screws to assure the proper electrical connection. Do not over-tighten. 4-Once the blade is firmly in place, plug in the EVA Thermal Cutter (Hot knife) Unit into a standard power supply. 5-The temperature control knob has 16 click setting that correspond to the graduated ridges on the surface. The smaller the ridge the lower the power setting. Caution 2: Excessive power output and heat generation may cause the blade holders to overheat resulting in damage to the unit. Use only the power output for proper cutting. The blade does not need to be red hot to move through foamed plastics. Put your temperature control knob at midrange setting, place the blade against the edge of the foam and depress trigger. Optimum cutting should be virtually smoke free. NOTE: For the best results, practice on scrap pieces of EVA Film&Fabrics . When cutting foam it is best to keep the temperature and speed consistent. If smoke develops during the cut, you are cutting too slow or the blade is to hot which could result in an over-sized, uneven cut. This can be remedied by lowering the temperature and intermittently releasing the trigger during your cut. As the cutting resistance increases, depress the trigger again. 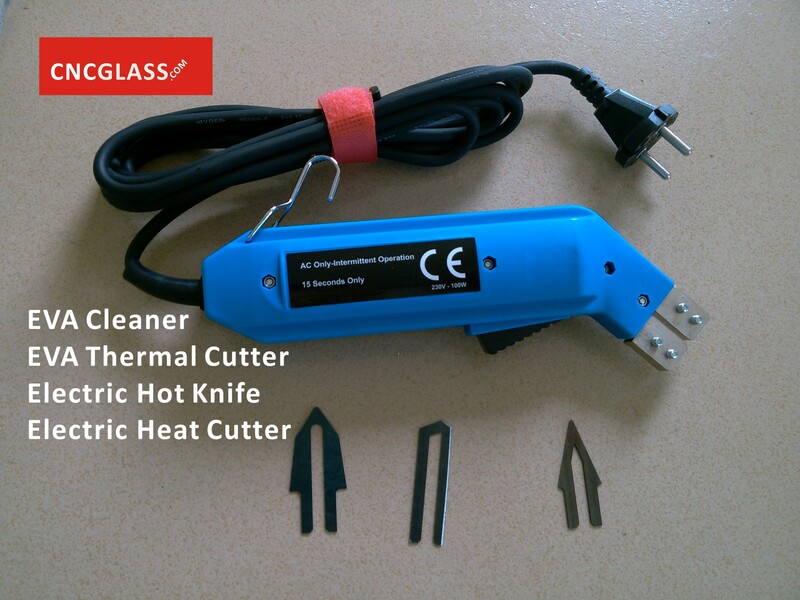 The EVA Thermal Cutter (Hot knife)will reach the set temperature within seconds. You can accomplish your cut with minimal smoke using this process. Cutting in this manner will also prolong the life of the knife. Never burn off excess residue on the hot knife blade. The blades will overheat, warping the blade and potentially overheating the EVA Thermal Cutter (Hot knife) . 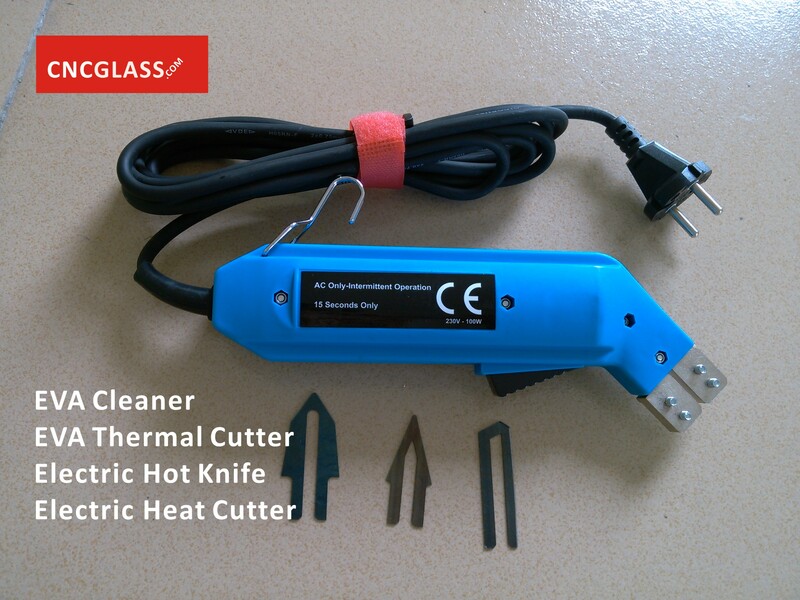 Only operate EVA Thermal Cutter (Hot knife)when it is in contact with the insulation board. Allow blades to cool before handling. 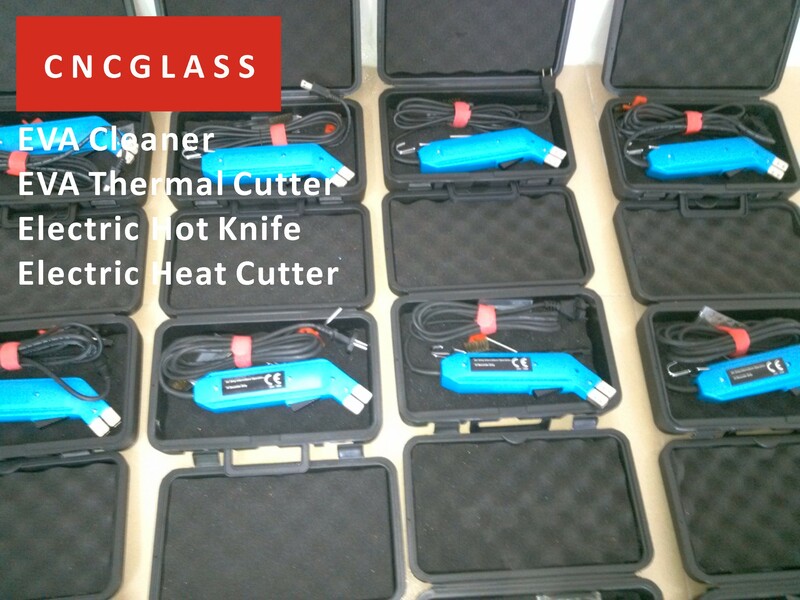 A hot blade may cause injury or burns to exposed surfaces. Constant use of the EVA Thermal Cutter (Hot knife)may result in some material build up on blades and the brass holders. This excess material interferes with the proper electrical and impairs the performance of the blades. The brass blade holders and blades can be thoroughly cleaned with a wire brush.